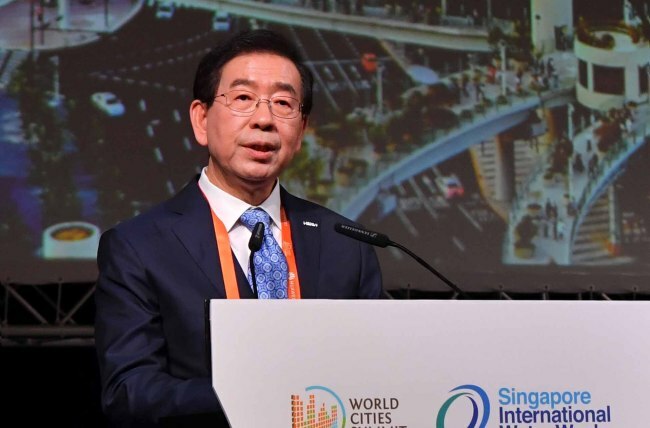 Seoul Mayor Park Won-soon will move into a small rooftop apartment in a rundown neighborhood in an effort to gain a hands-on experiences of what it's like to live in a less developed area of the city and come up with better policy, officials said. Park, who began his third-term early this month, promised after winning in last month's local elections that he would live for a month in Gangbuk-gu, one of Seoul's less developed wards, to identify problems facing the neighborhood and resolve them. In line with the pledge, Park has recently signed a contract to rent a rooftop home in Samyang-dong in northern Seoul, officials said. Park will use the small 30-square-meter apartment as both his office and home for a month, they said. Rooftop apartments are considered a type of home usually lived in by underprivileged people. Officials said Park will move into his new accommodation after the first extraordinary session of the city's legislature comes to an end on Thursday, but the exact date has yet to be fixed. In 2012, Park moved into an unsold apartment in a newly developed area in northern Seoul and lived there for nine days. His stay led to the sell-out of all 615 remaining apartment units in the area.